What are you drinking? Black coffee with room for cream. On occasion I enjoy a Pumpkin Spiced Latte. 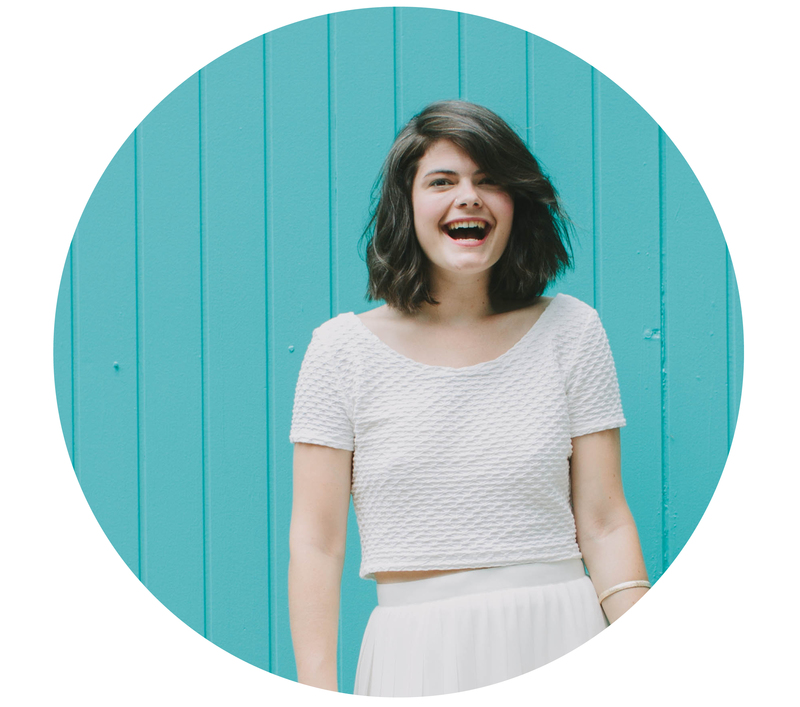 So, tell me about yourself… I’m from Rock Island, Illinois. I graduated from Augustana College in 2010, where I majored in business management & history. In college I was the asst. to the Director of Sports Information. I also used to announce our basketball and baseball games. Oh, that’s neat! So, you were the Dwight K. Schrute to the Sports Information Director? Ha, yes. Gotta love those Office references. What have you enjoyed about being in St. Louis? Oh man, Chicago is fun and all, but you really get lost in the crowd. Saint Louis seems to have that little, big city feel. I love it! What is the difference between a Cubs fan and a Cardinals fan? Thanks for putting me on the spot. The Cards have seen a lot more action in the playoffs. With out a doubt Cardinal fans seem to be more respectful. One thing that really sticks out — during the National Anthem, EVERYONE stops, including the people in the concourses and vendors. It’s really a neat thing to see. I do respect the optimism of a Cubs fan. Tell me about your job… Well, I work at Sportsprint. We do custom designed shirts, polos and corporate wear. I’ve been there for about 7 months now. I work in Sales, and was just recently promoted to Director of Social Media. Wow, that’s awesome! Yea, thanks. It really is. I help promote our company over social media. You can follow us on Twitter: @sportsprint. I also tweet from @Tees_From_Tom. 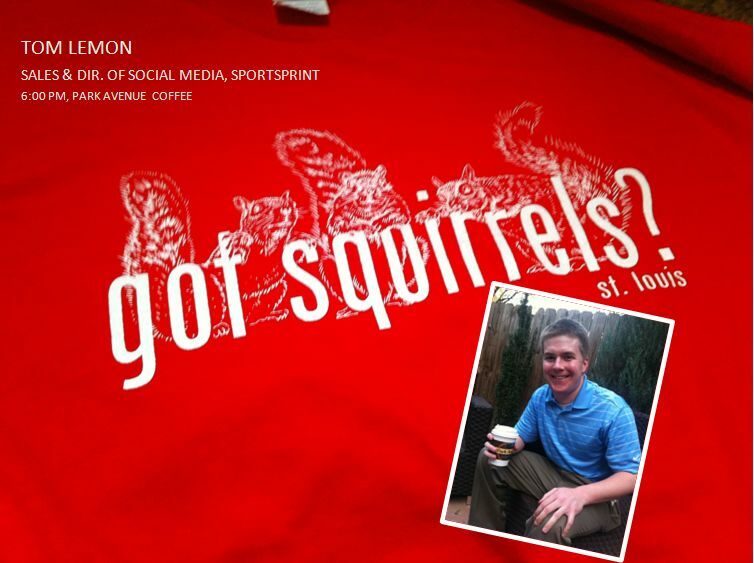 Speaking of Sportsprint, tell me about your connection to the Rally Squirrel… Well, originally Matt Sebek, of JoeSportsFan.com, approached Sportsprint about furthering his original concept of t-shirts with Torty Craig. 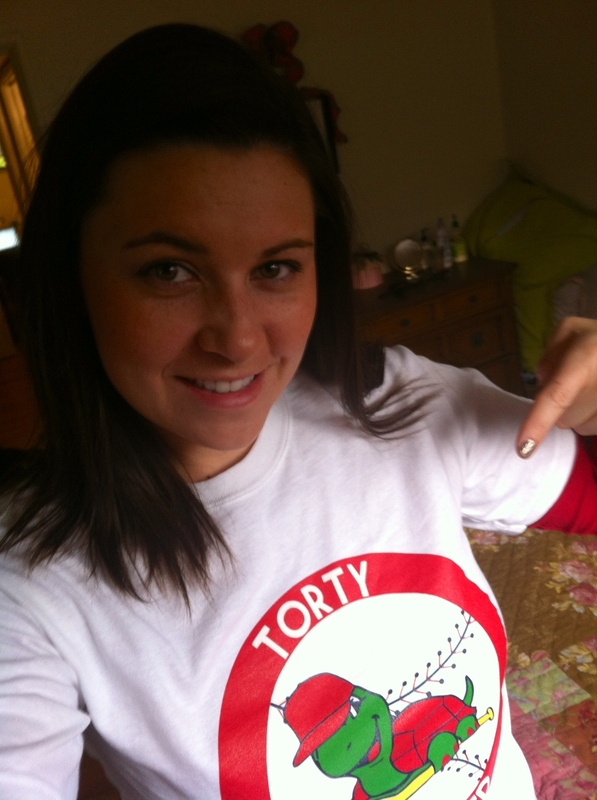 If you aren’t familiar with Torty, he is St. Louis Cardinal Allen Craig’s pet tortoise. He’s so cool, you can even follow him on Twitter, @TortyCraig. As far as the squirrel, we were already coming up with Rally Squrriel designs, even before he made his appearance back during the NLDS game when he ran across home plate. The rest is history! 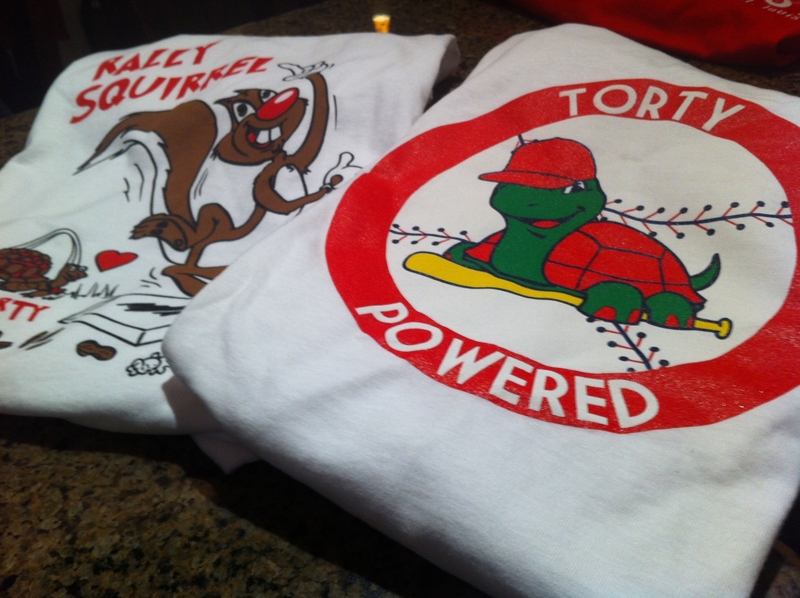 Now everyone has Rally Squirrel and Torty merchandise. I see it everywhere! I think it’s so cool to be in on the original idea. We have a variety of colors and designs. We even have a Happy Flight shirt that Cardinal Skip Schumaker was photographed wearing. Okay, love the shirts! I want one, where can we go to buy them? The shirts vary in price & color, $9.99-$14.99. We carry youth sizes all the way to 4XL. In you’re interested in buying them, you can come to Sportsprint, or email me at TomL@sportsprint.com.